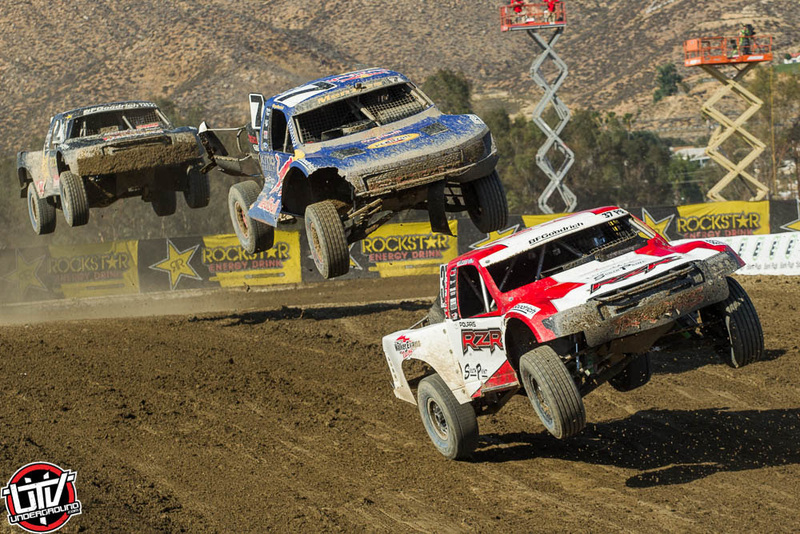 Riverside, CA 6/2/15 – After a wet and frustrating weekend at Wild Horse Pass Motorsports park RJ Anderson and the whole team were ready to get back to Lake Elsinore for the second time this season and get some results! 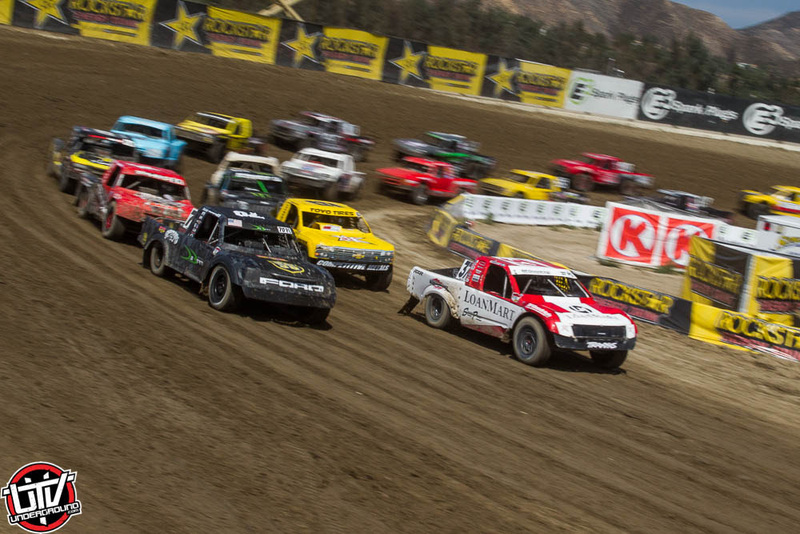 Rounds 5 and 6 of the Lucas Oil Offroad Racing Series were lucky to avoid all the rainfall of the past few weeks but drivers and machines would have the challenge of hot days to contend with as temperatures climbed into the 90s. Saturdays Pro-Lite race saw RJ starting on the front row and he quickly jumped out into the lead. RJ would field a couple of challenges from Brandon Arthur and Brad Deberti but he avoided the carnage behind him to take the win in spectacular fashion leading from the green flag to the checkers. This was the first win of the season for the #37 Loanmart/South Point Pro-Lite but it wouldn’t be the last. The Pro 2 main event rolled around to close out the day and spirits were high. The flag dropped and after the first lap of racing RJ came through in third position. He held onto the 3rd spot for most of the race, fending off some of the best drivers in the world, but with only two laps to go the #37 Pro 2 suffered an axle failure forcing RJ to pull off the track. Accepting that sometimes short course off road racing is a war of attrition, the team returned to the pits to prep for Round 6. Sundays racing got started with slightly better weather conditions but just as much action out on the track. 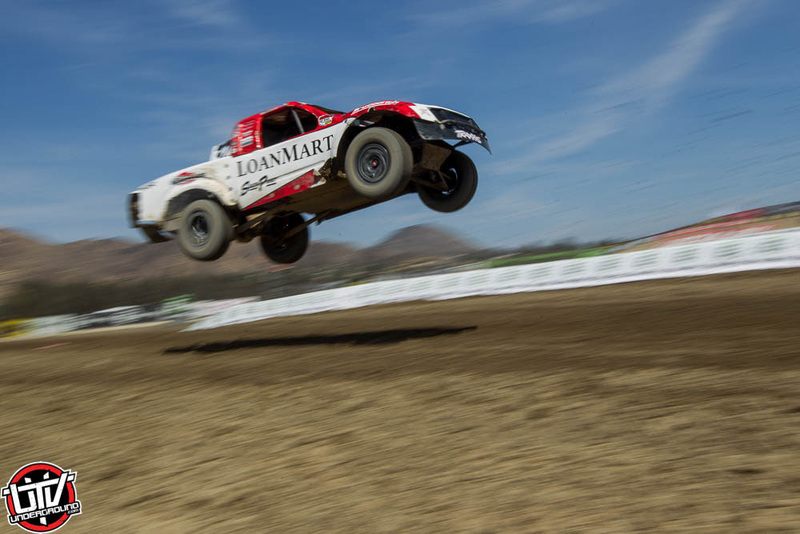 In the Pro-Lite main event RJ Anderson jumped out to an early lead and proceeded to put on a clinic, maintaining that lead for every lap of the race to complete a sweep of the weekend’s Pro-Lite racing. RJ really showed maturity and mental strength in pulling off this win as he stayed focused and lightning fast throughout the many full course cautions. After fixing the broken axle from Round 5, RJ and the team felt confident they they would be able to show the same speed again on Sunday. The morning of the race someone noticed a leak that turned out to be a serious engine problem and the whole team sprang into action. With RJ starting on the pole the stakes were high and the crew pushed hard, pulling of a complete engine swap in little more than two hours time to get RJ to the line. Once on the track RJ did not disappoint jumping out and holding his first place position for the entire first lap ahead of Brian Deegan and Bryce Menzies. RJ held off the horde of drivers behind him until lap 9 when Deegan managed to get by moving him into second. RJ battled hard with Rob MacCachren and was able to hold him off despite the loss of rear brakes. On the final lap RJ was caught by a hard-charging Menzies in a drag race to the finish line. Getting edged out in a photo finish, Anderson would have to settle for third. 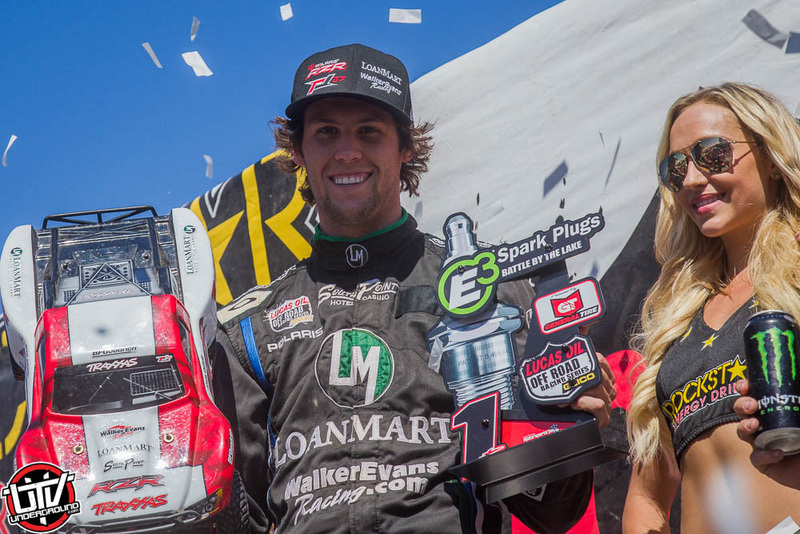 The whole team is thrilled with the results of the weekend as RJ showed he still has the speed to dominate in an increasingly competitive Pro-Lite class as well as run up front in both Pro 2 races. RJ would like to thank all of the friends, family and teammates who came out to support the RJ37 team this weekend. He would also like to express his gratitude toward the gracious sponsors that make this all happen. 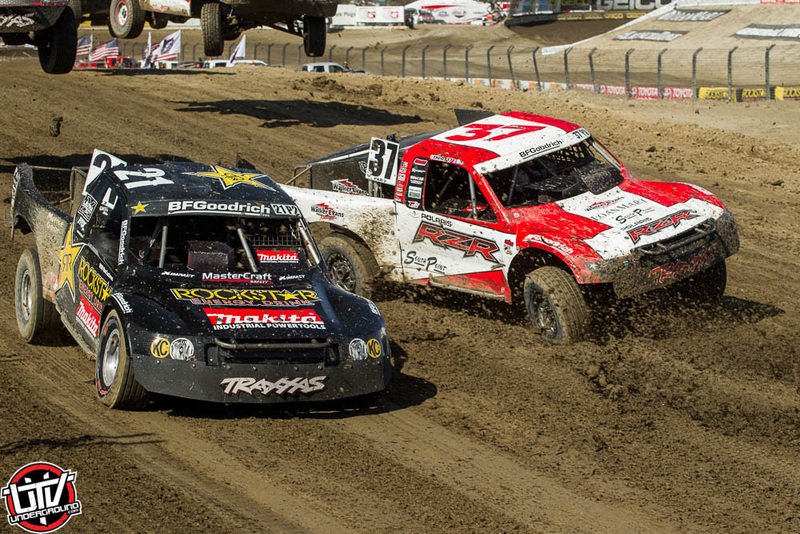 The Lucas Oil Offroad Racing Series rolls into Tooele, UT over Father’s Day weekend June 20-21 and the team will be there ready to back up their results! 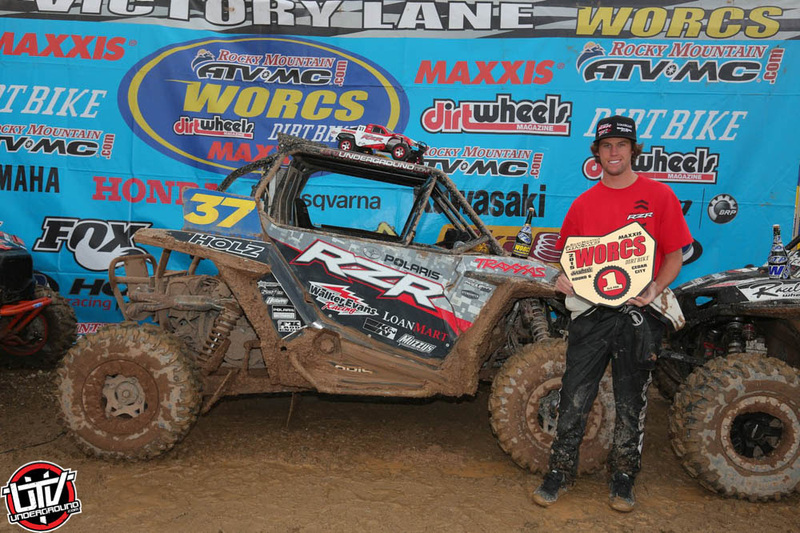 RJ also recently competed in Round 6 of the World Off Road Championship Series driving his Polaris/Walker Evans Racing RZR. He took to the track in the cold and wet conditions and ran a clean and fast race to earn himself the top spot on the podium and inch closer to first place in the point standings. RJ will compete in WORCS again July 31-Aug 2nd in Straddeline, WA. Be sure to keep up with RJ on Facebook and Instagram to stay up to date on all of this year’s racing exploits!